Innokin is an international electronic cigarette manufacturer. Founded in 2011, the company has grown to become one of the most recognized names in the industry. This is partly due to the company’s design philosophy which focuses on ease of use and portability. The company currently has 4 vape kit brands including iClear, CoolFire, iTaste, Gladius, Lily, iSub and Innokincell. Products from Innokin are manufactured in an environmentally friendly manner. Innokin adheres to strict manufacturing protocols, and has multiple certifications such as the ISO9001. As a result, Innokin products are reliable and safe to use. Why Should You Choose Innokin Products? For high quality Innokin vape pens at low prices, you can never go wrong with Discount Vape Pens. We stock original Innokin products at prices that are highly competitive. We do not charge shipping fees, which further contributes to customers’ savings. Our inventory has a wide range of Innokin products on offer, and one can easily get technical assistance about any of them from our knowledgeable staff. Discount Vape Pens goes to great lengths to accommodate each customer’s needs and to shorten the checkout process. Our site has high-level security to prevent fraud and identity theft. 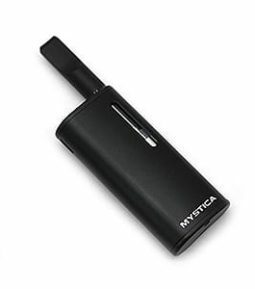 For Innokin vape kits and tanks, look no further than our inventory for excellent deals today.